Find out the riveting stories behind some of your go-to wineries. The Ehlers Estate is part of the 2015 Napa Valley History Tour. JUNE 10 THROUGH 13: Not only will artisan chefs be on hand, cooking and crafting and creating delectable bites (touring is an activity in need of fortifying substances after all), the locations you'll go, or locations within those locations, will be new to you, most likely. "You will have the chance to visit places not usually open to the public while being hosted by some of the valley's most knowledgeable tour guides," says the HQ. So where will you roam, with your proverbial magnifying glass out and learning cap on? 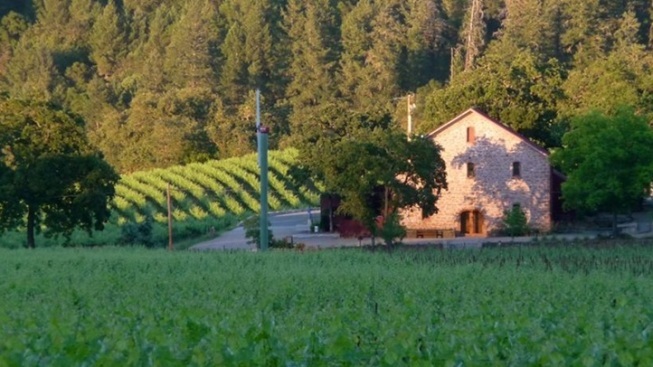 Beyond Downtown Napa, the four-day history-tacular will head to the Hess Collection, the Ehlers Estate, Missouri Hopper Vineyard, Nichelini Winery, Schramsberg Winery, Trinchero Napa Valley, and Yount Mill Road.